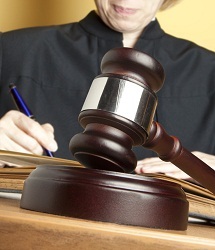 The average personal injury verdict in Louisiana $ 95,000. The national average is $45,000. Historically, the best verdicts in Louisiana come out of New Orleans. Here are some recent verdicts in Louisiana. These are taken largely at random. Please don’t assume they are proof positive about the value of your claim. But, I think they are illustrative. June 2013, Louisiana: $3,873,018 Verdict: Plaintiff was stopped in traffic and rear-ended by a tire company utility truck driven by the defendant. After the accident, the plaintiff was treated for injuries to his neck, low back, and both hands and wrists. He underwent a cervical fusion for his neck injury. The plaintiff sued both the driver and his employer for compensation for his injuries. Plaintiff’s experts included an economist, two chiropractors, neurologist, general surgeon and a rehabilitation expert. The rehabilitation expert estimated future care to be between $2.2 and $2.5 million. The defense’s experts diminished the extent of plaintiff’s injuries, primarily his need for future care. The jury found the plaintiff’s injuries were caused by the accident and was awarded $3,873,018. March 2013, Louisiana: $560,000 Verdict: Plaintiff was driving southbound and approached an intersection where the crossing street was governed by a stop sign. As he approached the intersection, the defendant pulled out from the intersecting street, causing a collision. The plaintiff was transported by ambulance to a local medical center with complaints of pain in his neck, back and legs. Prior to the accident, the plaintiff was recovering from a spine surgery performed earlier that year. After the accident he began suffering from a bulging disc as well as aggravation of his prior condition. The following year, the plaintiff underwent a hemilaminectomy and decompression. His pain continued afterwards and was given a second fusion surgery later that year. Plaintiff now suffers permanently limited range of motion. Three years after the accident, the plaintiff underwent a decompression and distal clavicle excision, leaving him unable to work at his previous employment at a correctional facility. He also suffers from clinical depression, PTSD and anxiety, which are linked to his pain and immobility. Plaintiff brought a suit against the driver and his own underinsured carrier for compensation for his past and future medical expenses as well as past and future wage loss. The defense admitted liability, but contested causation and the extent of the plaintiff’s injuries. They argued that the plaintiff’s injuries were simply an aggravation of a preexisting condition that was treated by his prior surgeries. Plaintiff responded that the earlier surgeries had greatly alleviated his pain and restored his mobility and that he had minimal pain in his back and was working full time. The jury found the accident had caused the plaintiff’s injuries and awarded him $560,000 for his past and future medicals, pain and suffering as well as for past wage loss. March 2013, Louisiana: $125,000 Verdict: Plaintiff was driving eastbound near an intersection. Defendant, who was also driving eastbound, turned to enter the driveway of a service station. While she was turning, the plaintiff was unable to stop and collided with the defendant. Plaintiff visited his university’s infirmary once after the accident. He did not seek medical treatment until about three months later when he started to see a doctor for neck pain. Prior to his visit, he had been involved in an on campus bicycle accident. Plaintiff’s treatment for his neck treatment eventually led to him having cervical fusion surgery. Plaintiff sued the Defendant, claiming his neck injuries were caused by the vehicle accident. The defendant denied her negligence had caused the plaintiff’s injuries and they were in relation to his bicycle accident. She also brought up that the plaintiff’s medical records showed only one instance of treatment prior to the bike accident. A neighbor of the plaintiff testified that both of Plaintiff’s parents told her that the injuries he sustained were from the bike accident, but he planned on blaming the car wreck for the injuries. The jury found in favor of the plaintiff and awarded him $125,000. January 2013, Louisiana: $650,000 Verdict: Plaintiff suffered a foot injury after a piece of equipment dropped on her foot while she worked at her job as a nurse. After treatment for chronic pain, she underwent surgery at the hands of her two treating doctors. The surgery involved implanting a pain pump with an implanted dwelling inthrathecal spinal catheter. One week after the surgery, the plaintiff was admitted into a hospital complaining of headaches and fever. The doctor ordered a CBC to be reviewed by both treating doctors. The second doctor prescribed Augmentin, an antibiotic, and told the plaintiff to go to the ET should the condition worsen. The prescribing doctor suspected bacterial meningitis, a common complication within dwelling cerebral spinal fluid (CSF) catheters. He obtained a sample of the plaintiff’s CSF and sent it to a lab. Based on a visual exam of the sample, the doctor injected Rocephin, an antibiotic, into the infected CSF. The plaintiff then had a seizure and was transported to a local hospital where she was admitted to the ICU for bacterial meningitis, sepsis, respiratory failure, and the removal of the catheter and pump. The plaintiff sued her second treating doctor and his practice. She alleged he failed to properly evaluate and diagnose the infection prior to the injection of the Rocephin and failed to hospitalize her for an ongoing infection. She claimed he ignored her first doctor’s recommendation that the pump and catheter be removed and that due to the defendant’s negligence, she now suffers from hearing loss, seizure disorder, tremors, brain damage, and many other things. Defendant claimed that the lab results requested by her first doctor did not indicate the presence of an infection and that meningitis common complication with those types of catheters. He claimed the use of Rocephin was given to the plaintiff to provide her with the best chance to recover. He also denied the plaintiff’s claim that her first doctor recommended removal of the pump. The jury found in favor of the plaintiff and awarded her $650,000. December 2012, Louisiana: $1,092,479 Verdict: The plaintiff was having her first pre-natal visit with her Ob-Gyn after learning she was pregnant with her fourth child. During her visit, the plaintiff voiced her concern that she might have breast cancer, as both her mother and aunt had the disease. Her Ob-Gyn examined her breast and told her there was nothing to worry about as the texture of the breast tends to change during pregnancy. During her next few appointments, the plaintiff would ask her doctor to examine her breast, complaining the condition had worsened. Each time her doctor informed her not to worry. Three months after her initial appointment, the plaintiff returned to her Ob-Gyn’s office to find her regular doctor could not see her due to a scheduling conflict. A nurse practitioner instead examined her and upon examining the plaintiff’s breast suspected inflammatory breast cancer and ordered an ultrasound. The ultrasound report showed possible mastitis and recommended close clinical follow-up. The week following the ultrasound, the plaintiff had a core biopsy which revealed invasive adenocarcinoma and a punch biopsy that revealed extensive lymphovascular invasion by the adenocarcinoma. The plaintiff later underwent chemotherapy during her pregnancy as well as radiotherapy treatment. She gave birth to a healthy baby girl; unfortunately, the cancer had metastasized to the plaintiff’s lymph nodes and bones. She then underwent a left modified radical mastectomy and stem cell transplant. The plaintiff sued her Ob-Gyn for failure to appropriately respond and react to her original complaints, failure to perform a proper examination, failure to order testing, and failure to refer her to another doctor for appropriate testing. The defendant denied any negligence on her part and argued that any negligence was not the legal cause of any injury to the plaintiff. She also alleged it was the plaintiff and her practice who were negligent. The jury found the defendant to be 65% liable for the plaintiff’s injuries. They awarded the plaintiff $2,267,507, which was reduced to $1,092,479 for plaintiff’s comparative fault at 35%. September 2012, Louisiana: $116,939,241 Verdict: The plaintiff was seven months pregnant and began to suffer abdominal pains. She called for an ambulance and was soon loaded into a gurney and onto the vehicle. En route to a hospital the driver realized he neglected to insert a GPS tracking key that allows the ambulance to be monitored. The key ring was attached to his belt loop and subsequently fell while he tried to reach for it. Upon the ring falling to the floor, the driver looked down to retrieve it. While he was looking for his keys, a fully-loaded sugarcane truck pulled onto the highway. The driver did not see the truck until it was too late and despite hitting the brakes, the vehicles collided. In the back of the ambulance the plaintiff slipped out of the gurney and struck her head and suffered a paralyzing spinal cord injury from the neck down. She remained in a coma for three months and gave birth to her daughter while in the coma. She also underwent fusion repair surgery and was later described as a triple-gic where she only has limited use of one hand. While she was able to regain some speaking abilities after speech therapy, she requires 24 hour care and lives in a rehabilitation facility. The plaintiff sought damages from the ambulance company and its several insurers. At the beginning of the case litigation the company attempted to characterize the case as a medical malpractice which would have subjected it to statutory caps. The court struck the suggestion. A month before trial the ambulance company agreed to pay her $11.25 million and remained only a nominal defendant. The case continued to trial against the insurers. The jury found the ambulance driver at fault and awarded a verdict for the plaintiff in the amount of $116,939,241. May 2013, Louisiana: $336,234 Verdict: Plaintiff was driving westbound and began to cross a high rise bridge. While crossing the bridge she was approached from behind by the defendant who was driving a vehicle owned by his employer. The defendant was weaving in and out of traffic and struck the plaintiff from behind, forcing her vehicle into the rail of the bridge. After the accident, the plaintiff undergoes three years of treatment with a physical therapist for soft tissue injury to her back. She also sought psychiatric care for post-traumatic stress disorder. The plaintiff sued the driver of the vehicle for auto negligence, claiming that he was intoxicated at the time of the crash. She claimed that due to her vehicle being forced against the bridge rails she felt it was a near death experience, resulting in PTSD that gave her reoccurring nightmares. The defense denied intoxication and blamed the plaintiff for the collision, stating she was likely experiencing a panic attack which could have caused the accident. They also diminished the plaintiff’s injuries; claiming that prior to the accident, the plaintiff had suffered from various pain and leg pains as well as psychological issues. The defense contended that any alleged injuries from the accident resolved in six months. The jury found the defendant 100% at fault for the collision and the plaintiff’s injuries and awarded the her $336,234. If you need a lawyer, call 800-553-8082 or get a free online consultation.